I love beauty products and have quite a collection/stash. I love trying new ones, learning about where they came from and what the science is behind them. QVC.com is a great place to buy and learn about cosmetics. They stock some of the best brands and do amazing deals. I shop for all my products via the QVC website and app - which contains demonstrations on how to use products and lots of infoamtion about them. They stock many of my all time favourites brands like Liz Earle, Elemis, Evolve Beauty and Decleor but I have recently discovered (and have been recommended) some new ones such as Tarte, IT Cosmetics and NIOD. Elemis is one of my favourite luxury British Skincare brands - I've been using it a while now and it never lets me down. The quality is great and the products actually get results. This 6 piece set is such a good starter set or would also make a such a nice gift. It covers all the bases and contains: Pro-Collagen Cleansing Balm, Rehydrating Ginseng Toner, Pro-Collagen Marine Cream, Exotic Blooms Shower Nectar, Exotic Blooms Hand Wash and Exotic Blooms Hand & Nail Lotion. 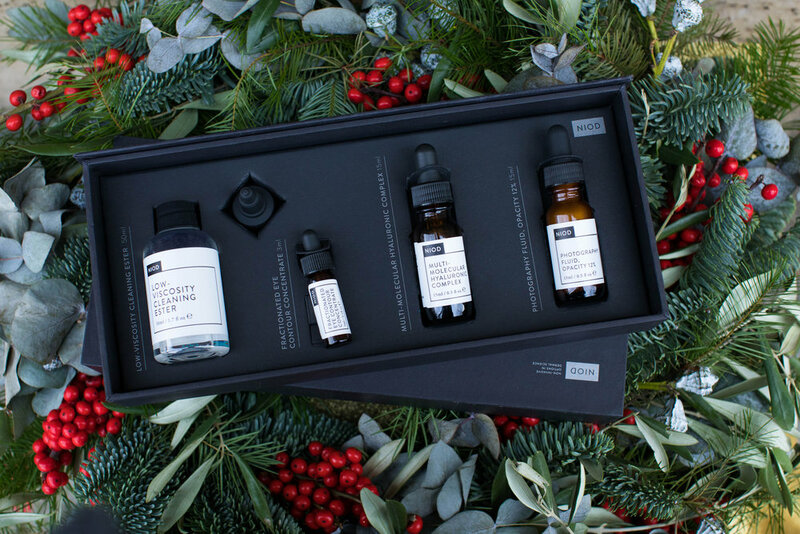 NIOD is a new discovery for me - they are an innovative science driven skincare brand from Canada and pride themselves on doing things differently from other beauty brands. I love their branding and packaging too - very cool. The 4 piece set contains: Low Viscosity Cleaning Ester, Fractionated Eye Contour Concentrate, Multi Molecular Hyaluronic Complex and Photography Fluid Opacity. I have used these products a few times and so far so good - I will keep you posted on the long term effects. Philip Kingsley make multi-award winning haircare products, they take a holistic approach to hair care and have over 100 years of collective trichological experience - so to say they know their stuff would be an understatement. I have only recently starting using this brand but i'm loving it - I have found my hair looks fuller, actually bounces(!) and that I don't have to wash it so regularly. This Philip Kingsley collection comes in a very cool wash bag (with a pompom) and contains: Elasticizer, Body Building Shampoo, Moisture Balancing Conditioner, Maximizer and Plumping Cream. This post was kindly sponsored by QVC UK. All product selections and opinions are entirely my own.